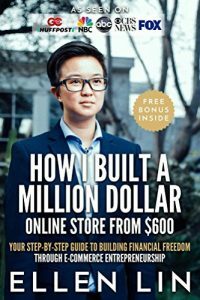 Ellen Lin is 7-figure e-commerce entrepreneur, author, international speaker, and a bilingual e-commerce coach. In 2011, she invested $600 to start selling on eBay from her garage. Now she has built a 7-figure empire and coach people how to do that.